● Installation in the refrigerator is easy. ● It is convenient to take out. ● You do not need to carry the eggs in the basket. 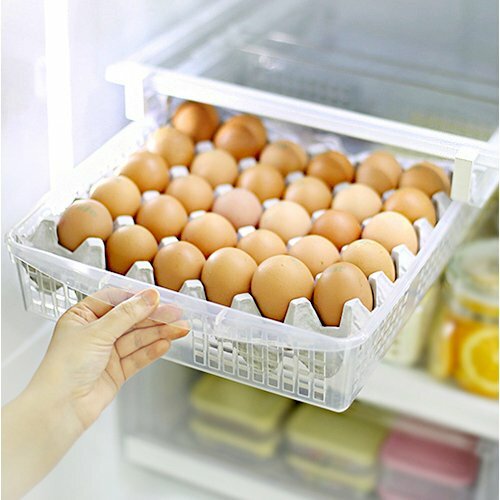 ● You can put a pack of eggs(30). ● Consists of rails and baskets. The length of the rail can be adjusted. If the depth of the refrigerator shelf is smaller than 390mm or larger than 595mm, it can not be installed. You do not need to carry the eggs in the basket. You can put a pack of eggs(30). Installation in the refrigerator is easy. The paper holder in the picture is not included. It's only the example. Consists of rails and baskets. The length of the rail can be adjusted. If you have any questions about this product by Mia home, contact us by completing and submitting the form below. If you are looking for a specif part number, please include it with your message.